3/4 Sleeve baseball shirts are a versatile must-have for anyone's wardrobe. Unfortunately, finding youth sizes for the perfect shirt can not always be easy. 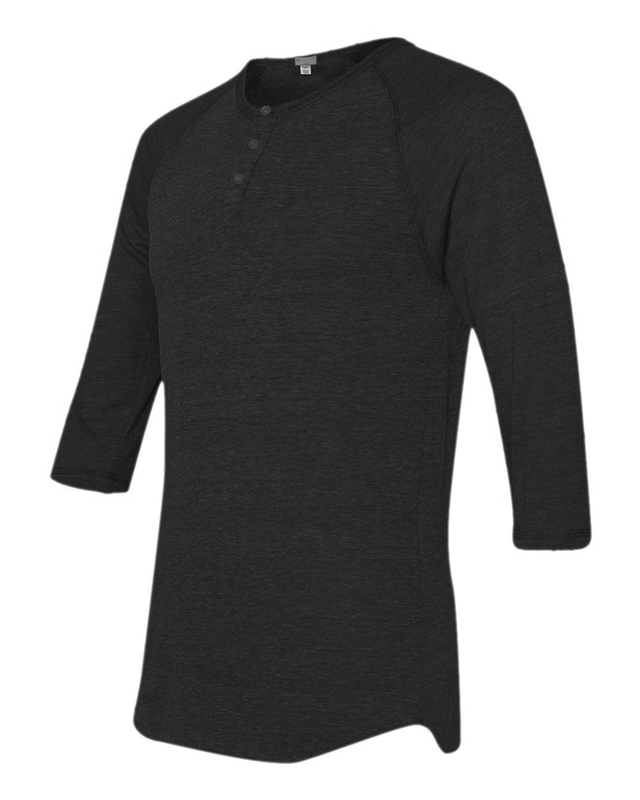 The Mato & Hash Kids Raglan Henley Shirt is a great option for your child to wear on any occasion. Whether going out to play catch, or just a casual spring day, this shirt is sure to keep your child comfortable and stylish. Made of 50% Polyester, 38% Cotton, 12% Rayon, with a 3-buton Henley collar. Youth baseball shirts can be a tough find, so the Mato & Hash Kids Raglan Henley is a great pick-up for your son or daughter. - VERSATILE - 3/4 Sleeve shirts can be worn on many different occasions. Whether your child needs a baseball t-shirt for their next game, or is just looking for a stylish casual look to wear on a nice day, the Mato & Hash Raglan Henley Shirt is a must-have. - PERFECT FIT - Finding youth sizes that fit correctly can be a tough task - especially when looking for youth baseball shirts. Luckily, the Mato & Hash 3/4 sleeve shirt is available in youth sizes Small through X-Large - Ensuring that your child gets the perfect fit in this raglan henley. - COMFORT - Mato & Hash provides excellent comfort to keep your child happy. These youth 3/4 sleeve shirts are made of 50% Polyester, 38% Cotton, 12% Rayon, with a 3-buton Henley collar - making for a comfortable, soft fit with the ability to adjust the collar to your son or daughters comfort level. - QUALITY - As always, Mato & Hash provides excellent quality in these youth baseball shirts. You will notice the difference in quality when comparing these to other youth henley shirts online. No worrying about the colors fading after a few routine washes. - VALUE - In addition to excellent quality, Mato & Hash provides some of the best value in 3/4 sleeve shirts online. You are unlikely to find better youth baseball shirts at a better price anywhere else. Feel free to stock up on multiple colors without breaking the bank!